WhiskyFest may be coming, but we’re more excited about the November 17th event led by Sir James Forbes, the resident Scotsman and whisky expert in Napa Valley. 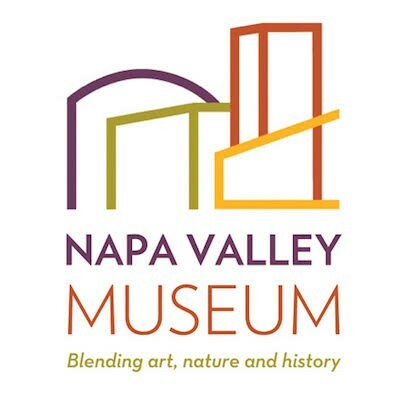 The event will feature tastings of “splurge-worthy” whiskies at the Napa Valley Museum Yountville. The press release and tickets can be found below, after the article. Ahead of the event, we reached out to James to interview him. A bit of a background: James is a direct descendant of Sir Charles Forbes and comes from Aberdeenshire, Scotland before moving to Napa over 20 years ago. He is the creator of the Dramophone phone application, which features a “perfect dram finder” to suggest the correct whisky for your mood, place, and the time of day (selecting “breakfast”, however, is met with a humorous note from your mother: “Drinking whisky for breakfast is not big and not clever, and really you should know better, dear”). The application also includes food pairing suggestions for different whiskies and a comprehensive guide to all Scottish distilleries, including the correct pronunciation and a distilled (pun intended) description of the broader style and expression of each distillery’s whiskies. Well, unlike Scotland, the holiday season is the season for whisky in most of California and the USA; in Scotland, it is year-round because we have terrible weather there. 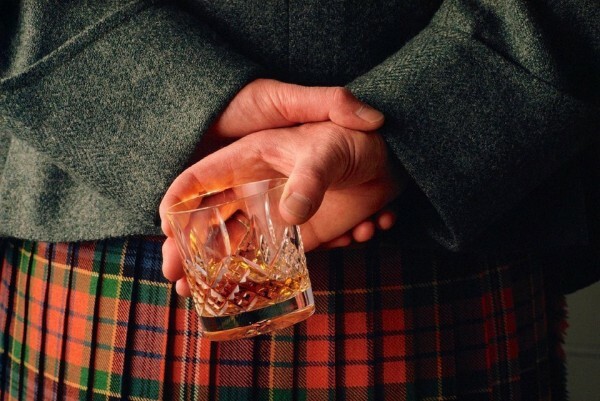 A lot of times, people don’t know if a Scotch is worth the price, but they want to buy one as a gift. This event will allow people to find out if it’s worth it. I noticed you’re thinking of featuring a few independent bottlers in the event. What are your thoughts on their value? It can be fabulous. Back in the 80s, there were some incredible independent bottlings. For example, the Scotch Malt Whisky Society had access to some incredible casks because in the 1950s, distilleries were churning out whiskies while demand was drying out. Distilleries mothballed, but their casks would sit around improving for the next 30 years. Now, it really depends on who is doing the bottling. There’s much less access to the great casks. However, sometimes a cask is so good and unique that a distillery will not want to even put it into its own luxury line and will work with a bottler to handle the marketing and distribution. Irn-Bru (basically Scottish orange soda) and an old Scottish tradition. 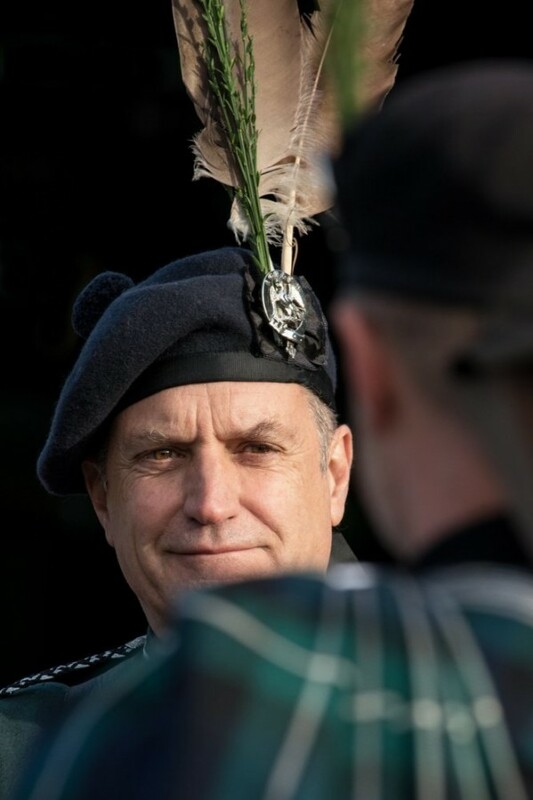 The March of the Lonach Highlanders is an annual event that has been going on for almost 200 years (I now lead it). It is a 7 mile march up and down the valley. At each of the stops, you are given a dram, while younger Highlanders are given pints of Irn-Bru (orange fizzy soda). I don’t mind it, but after being forced to down a pint at each stop, it can be hard on the body. When I was around 13, a host took pity on me and gave me a dram instead - and the small ounce of liquid was a welcome reprieve from the pints. I developed a love for it after that. What is it like to be the whisky guy in Napa Valley? Whisky is different than wine, particularly with the food pairings, and I’ve held several Whisky dinners for winemakers where no wine is served. The vintners are usually taken aback at first (“no wine?”) but it becomes very fun. For example, asparagus is brilliant with a lowland malt but terrible with wine. A hot vindaloo curry also can be enhanced in flavor with meaty highland whisky, while wine (such as a German Riesling) only tamps down the heat. The first event I held at the Napa Valley Museum (editor’s note: the upcoming event is the second that James will be hosting there) was in April and featured foods that uniquely pair well with whisky. Bonus Question: What are your thoughts on American whiskey? The best thing about whiskey is that their leftover casks are cheap and are excellent for aging scotch in. Yountville, CA. Our second Whisky Tasting, following April’s sold-out Tartan Day celebration, concentrates on some of the best of the best. Nearly one-quarter of all Scotch whisky is sold in November and December, much of it as gifts as well as for entertaining. This "splurge-worthy whiskies” tasting will allow participants to sample exceptional whiskies, including some rare and exclusive drams, further develop their palates, and learn from whisky expert James Forbes why these coveted spirits are worth the price (or not). This whisky tasting provides a great way to get ready for holiday gift giving and entertaining, and is expected to be another sold-out event. Includes admission to “Walt Disney’s Trains” (a $20 value). Held in the intimate setting of our History Gallery, capacity is extremely limited. The evening includes the curated tasting of exceptional whiskies, plus admission to the Main & Spotlight Galleries. Guests will arrive at 5:30 pm, with a half-hour dedicated to touring “Walt Disney’s Trains,” followed by the tasting from 6 to 7:30 pm. Early bird tickets are $50 Museum members; $65 non-members; $75 at the door. Bounty Hunter Rare Wine & Spirits in downtown Napa, dedicated and experienced merchants offering exceptional wines, spirits, and the best of Wine Country with a fun, authentic approach and uncompromising standards. In business since 1994, their motto is: "If it's not great, we don't sell it." A perfect place to splurge on whiskies for your own enjoyment or as gifts, contact their “Wine Scout” Lee Reinsimar at 707.260.0940 or visit them at www.bountyhunterwine.com . This family-friendly exhibition, organized with San Francisco's Walt Disney Family Museum, explores the influence that railroad trains had on Walt Disney's life and workThe exhibition includes a wide variety of artifacts, firsthand accounts, archival videos, images of Walt and his trains, and one-of-a kind items, including Walt Disney's own Carolwood gondola railroad car, an illuminated model of Disneyland’s Main Street U.S.A, and a custom model train created in partnership with the Napa Valley Wine Train by the Napa Valley Model Railroad Historical Society. Guest curator Michael Campbell, President Emeritus of the Carolwood Pacific Historical Society, constructed the exhibition to reflect Walt’s railroad journey from his early years to the creation of Disneyland and beyond, and reminds us that, over a century later, Walt’s railroading influence remains a vibrant and relevant force. Admission to the exhibit, regularly $20 for adults/$15 seniors, is included with a paid ticket to our “Splurge-Worthy Whiskies” tasting. Drunken Diplomacy is a San Francisco-based blog on cocktails and whisky reviews. Sylvia handles most of the Drunken Diplomacy spirits reviews. She is a Mongolian savage that loves peaty scotch and brazilian jiu jitsu (BJJ). The scotch love developed because it is much better than Mongolian fermented horse milk (the official drink of Mongolia). During the week, she can be found at her startup Sigray, building x-ray scientific equipment. During the weekend, she can be found drinking scotch or one of Michael’s experimental concoctions. She secretly likes haggis. And unsecretly likes licorice.